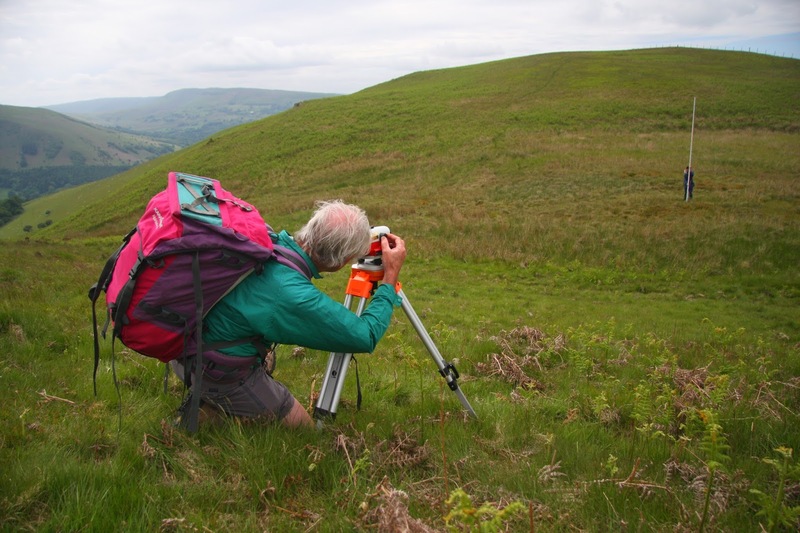 There has been a Summit Relocation to a hill that is listed in the Y Pedwarau and Y Trechol – The Dominant Hills of Wales, with these details being retrospective as the line survey that initiated this summit relocation was conducted by John Barnard, Graham Jackson and Myrddyn Phillips on the 11th June 2010, with the Trimble GeoXH 6000 survey that confirmed this hill’s height conducted by Myrddyn Phillips on the 2nd January 2018. Y Trechol - The Dominant Hills of Wales - These are the Welsh P30 hills whose prominence equal or exceed half that of their absolute height. With the criteria for Lesser Dominant status being those addition Welsh P30 hills whose prominence is 33% or more and below 50% of their absolute height. The list is authored by Myrddyn Phillips and the Introduction to the Mapping Mountains publication of this list appeared on the 3rd December 2015. The name of the hill is Rhiw Gwraidd and it is situated in the Hirddywel range of hills which are in the northern part of Mid and West Wales (Region B, Sub-Region B1), and the hill is positioned between the A 44 road to its north and the A 470 road to its south-west, and has the town of Llandrindod to its east south-east. As the summit of the hill is not on designated open access land permission to visit should be sought, for those wishing to do so a public footpath crests the ridge relatively near to this hill’s summit to the east. When this hill was originally listed in the Welsh P30 lists on Geoff Crowder’s v-g.me website the summit position was given as SO 009 633, with an accompanying note stating Two tops of same height, other at SO 014 633. These two tops are given 442m spot heights on the Ordnance Survey 1:25,000 Explorer map, whilst a 440m ring contour further to the east is given a 441m spot height on the Ordnance Survey Interactive Coverage Map hosted on the Geograph website. Rhiw Gwraidd 442m SO009633 147 200 Marilyn. Clem/Yeaman. Two tops of same height, other at SO014633. 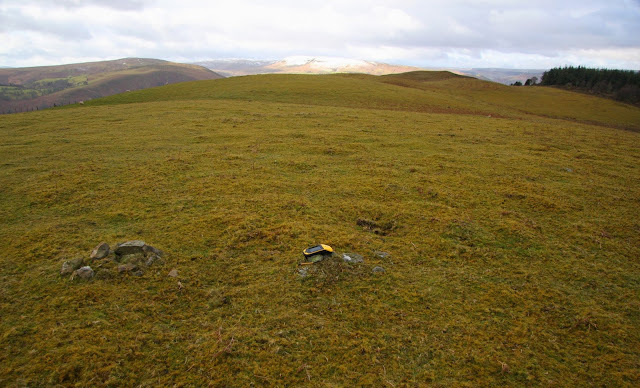 When this hill was line surveyed we found the summit position to be where the 440m ring contour is positioned on contemporary Ordnance Survey maps, however we did not survey the hill with the Leica equipment for its summit height and therefore the hill remained with a summit position corresponding to where the 441m spot height appears on the Ordnance Survey Interactive Coverage Map hosted on the Geograph website and yet two 442m spot heights appear further to the west of this hill’s high point. With the summit position established via the line survey it was an easy task to ascertain an accurate summit height for the hill with the Trimble GeoXH 6000, and therefore the position of the relocated summit from that given in the P30 lists on Geoff Crowder’s v-g.me website is at SO 01606 63432 and is the top of a small embedded rock that is approximately 1 metre north of a small cairn which is placed on featureless ground consisting of closely cropped grass, this position is given a spot height of 441m on the Ordnance Survey Interactive Coverage Map hosted on the Geograph website and is approximately 650 metres east from where the summit position was originally given and 175 metres east north-east from where the second 442m spot height appears on the 1:25,000 Explorer map.